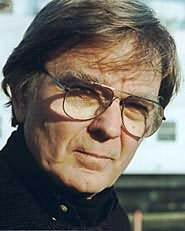 Robert Coover has published fourteen novels, three short story collections, and a collection of plays since The Origin of the Brunists received the The William Faulkner Foundation First Novel Award in 1966. At Brown University, where he has taught for over thirty years, he established the International Writers Project, a program that provides an annual fellowship and safe haven to endangered international writers who face harassment, imprisonment, and suppression of their work in their home countries. In 1990-91, he launched the world's first hypertext fiction workshop, was one of the founders in 1999 of the Electronic Literature Organization, and in 2002 created CaveWriting, the first writing workshop in immersive virtual reality. "Gabe Hudson's wacky dispatches from a wacky war chronicle - with the knife-edge humor of a fine stand-up comedian - America's twentieth-century decline from World War heroism through hubristic tragedy to black farce."